At sundown on Sunday, as protesters remained gathered at Detroit Metro Airport to demonstrate against Donald Trump’s block of citizens from seven predominantly Muslim countries from entering the U.S., demonstrators joined together to help the Muslims among them participate in their sunset prayer. 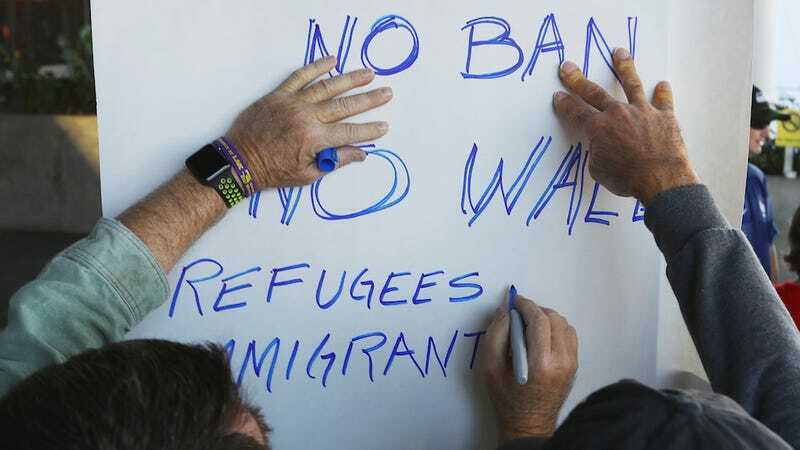 Because the ground outside the airport was cold and wet, allies loaned their protest signs as prayer mats, then formed a protective—and silent—circle around the observant Muslims. A strong reminder that just because the current administration wants to disregard the First Amendment, doesn’t mean we have to.